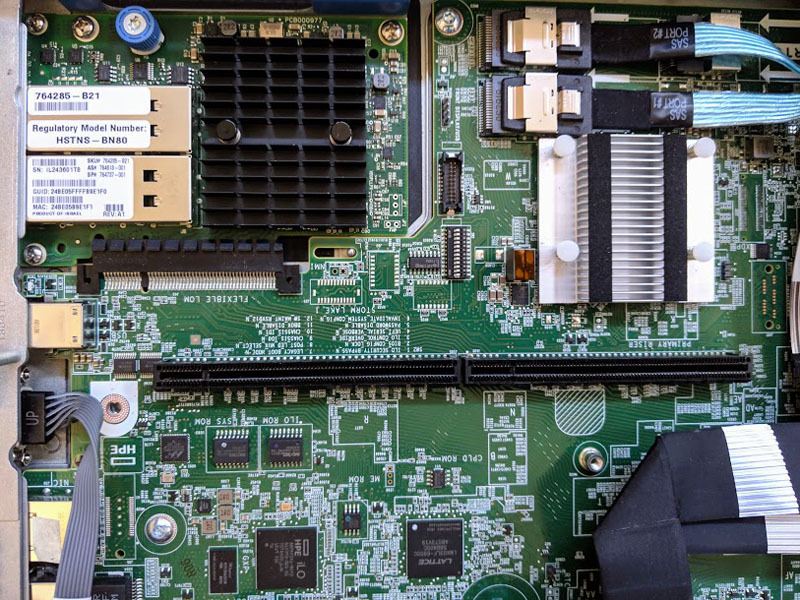 We wanted to take an opportunity to share our single processor 2nd Gen Intel Xeon Scalable test platform that you will see in a number of our processor reviews. The HPE ProLiant DL360 Gen10 is the company’s mainstream 1U server offering. Although this is a dual-socket server, we have a hand-built configuration that we designed specifically for our single CPU testing. 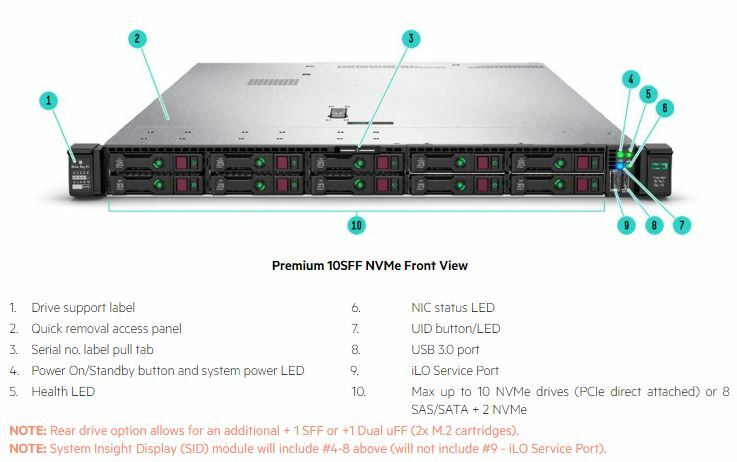 Our HPE ProLiant DL360 Gen10 is not the base model. We are actually utilizing the 10x 2.5″ U.2 NVMe edition. Using a single processor means that the NVMe drives are not accessible as they are all connected to CPU #2. One can also use local SATA SSDs in the same slots. Once this server is done with its CPU testing duties, we can use the same platform with second CPUs for another testing role in the lab. We also have a high-performance version of the system. HPE utilizes significantly more robust fans. You can feel the weight difference in high-performance fans for the server versus the standard model. We went through the process of selecting heatsinks very carefully. We purchased sets of both the standard and high-performance heatsinks. 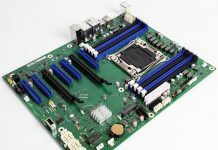 The high-performance heatsinks have extra copper heat pipes that lead to additional heatsink fins. 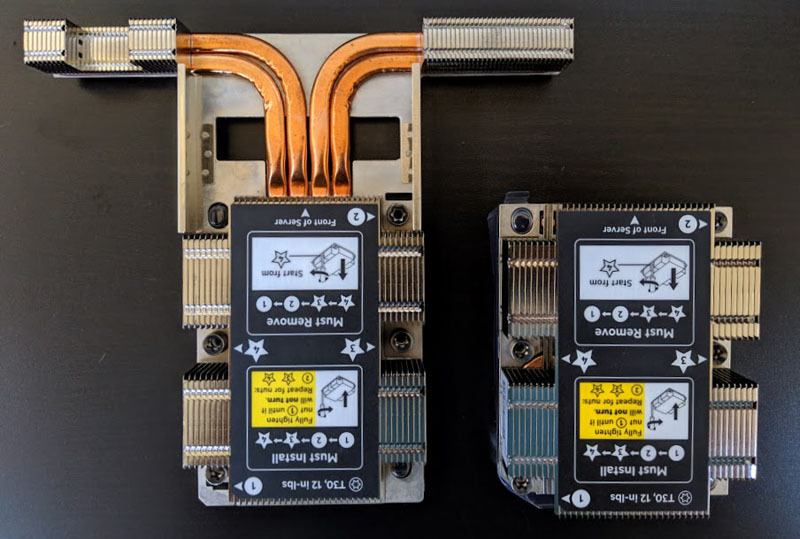 After testing with the Intel Xeon Platinum 8180, Intel Xeon Platinum 8276L, and Intel Xeon Platinum 8280 chips, we decided that we needed to standardize on the high-performance heatsinks. Cooling was a particular challenge. We actually tested a fairly robust matrix of options. Typically there would be an array of risers in the rear. 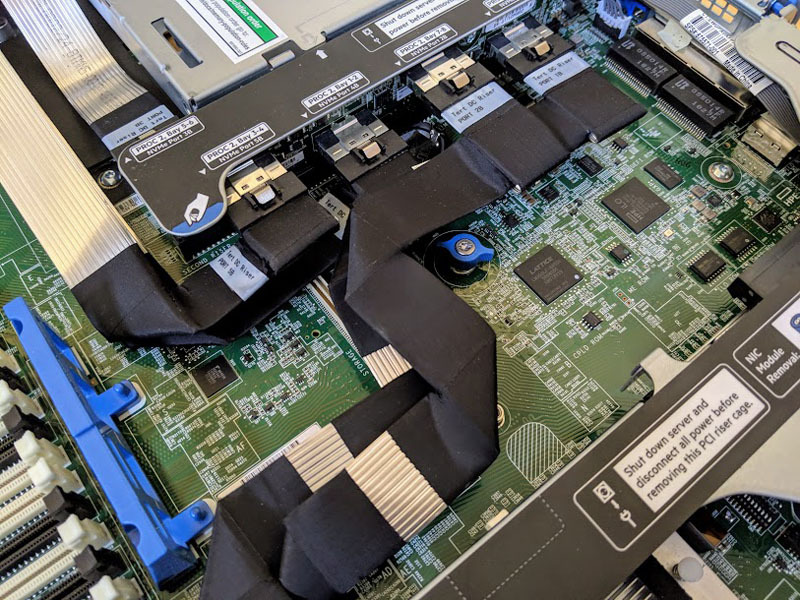 Instead, we have a riser dedicated to supporting cabling that connects the front NVMe hot-swap bays to CPU #2. You can see the SFF-8087 cables that connect the Lewisburg PCH SATA ports to the front hot-swap bays. We also have room for a HPE Flex LOM as well as our Mellanox ConnectX-5 100GbE NIC for the system. The Flex LOM our test system has is a 40/56Gb Mellanox VPI model. This allows us to connect to our 40GbE network as well. Basic networking is provided by quad-port Broadcom 1GbE. Although this is not a formal review of the system, we wanted to quickly show some of the features of our single CPU benchmarking platform. In order to promote diversity for STH’s test platforms, we are utilizing systems from other vendors for dual processor and quad processor test platforms this generation. The HPE ProLiant DL360 Gen10 is a dual socket capable system, however, we confirmed that this will work and that HPE supports single socket configurations in the DL360 Gen10. 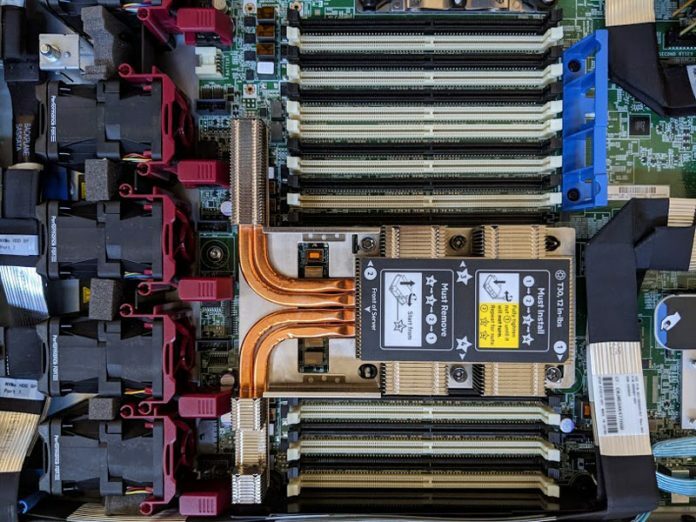 Our readers are right to assume that we are going to use this as a dual socket platform with NVMe storage when it is not testing new CPUs. In a subsequent article, we will go into more detail around how we built the test system by hand-selecting parts. Patrick had already posted an article in April 2018 calling out the Xeon Platinum CPU as overpriced, “the Intel Xeon Platinum 8158 has a steep tax for being 8-socket capable”. So, why would STH have bough such a unit? @BinkyTO As far as I’m aware, STH does private testing for other use cases via their lab services. Which means they need to have the equipment to fill those requests. I bet they still stand by that April ’18 article though, Platinum line is not for your average server use. It’s just nice that they can toss in the outliers like the Plat 8158 based on those tests to fill in the data for us lowly SMB users (heh).